The ultra-sharp high-speed steel drill bits, easy-to-read markings and convenient arrangement makes this set very popular with experienced modelers. Includes twenty bits (nos. 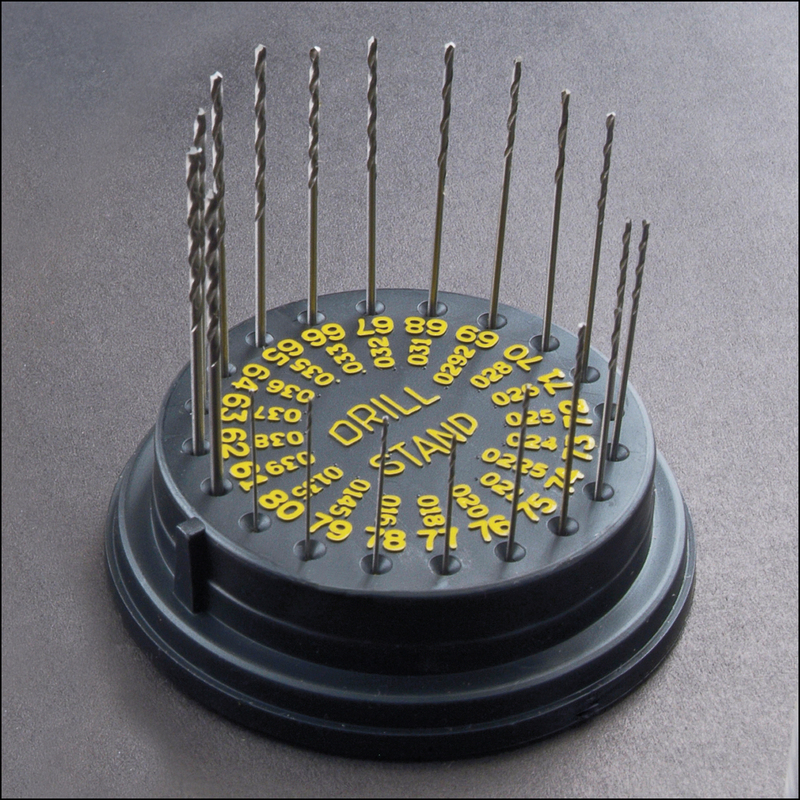 61 through 80), drill stand and clear plastic dome for safe storage.